It takes a village: many children were wandering around freely while their parents volunteered or raced. Everyone looked out for the little ones and there was a general feeling of family from one block to the next. 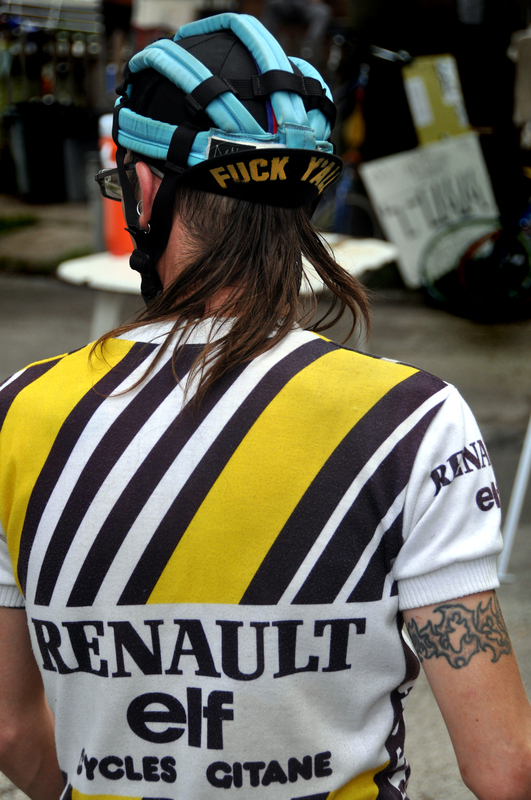 I had completely forgotten that I had agreed to ride a 6 hour shift in the Riverwest 24 hour bike race … the day after I got back to Milwaukee. Now our canoe trip was a vacation, and we did not make it a death march, but I was still pretty tired. The thought of racing for six hours the following day was not something I was looking forward to. But a commitment is a commitment, and I was curious about the event, since I had not gone either of the two years it has been going on. The race is about as DIY as things get. It is put on by volunteers in the Riverwest Neighborhood. The RW24 is an amuse-bouche that shows off the best of what my friend Mark Sirek calls “the greatest neighborhood in the world.” Families man water and food stations along the course throughout the neighborhood and keep them open and stocked with things like fresh fruit, home-baked cookies, lemonade, PBR and even champagne on the last lap. I got my manifest punched by a 15ish looking girl the entire 6 hour shift. I am pretty shure she was out there the whole 24 hours. Pretty cool of a teen to volunteer with her family for that long. 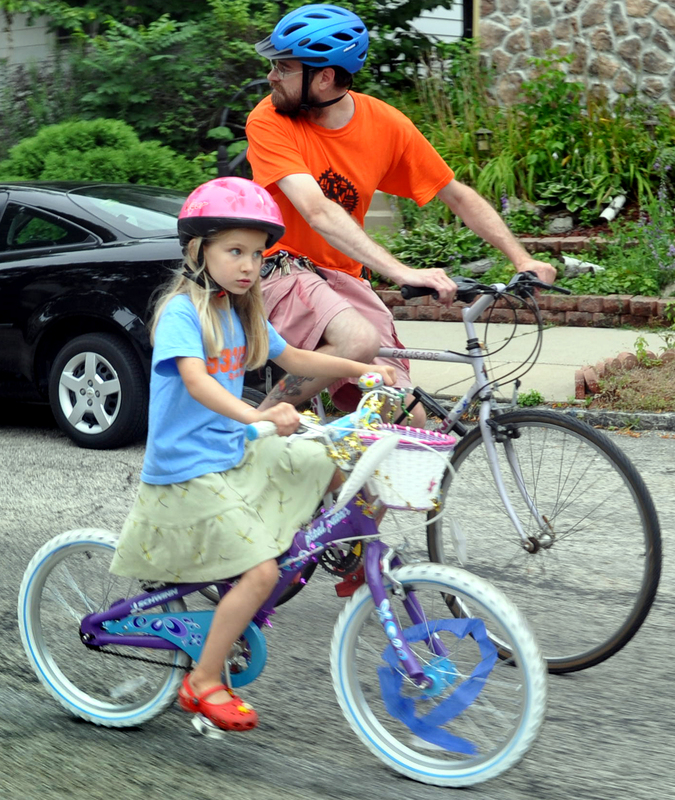 The race is as much about bringing together neighbors as it is about bikes. My boss and teammate, Jeff Polenske, The Milwaukee Dept. of Public Works City Engineer, stops at the finish/start checkpoint. The race began at 7 pm Friday night. 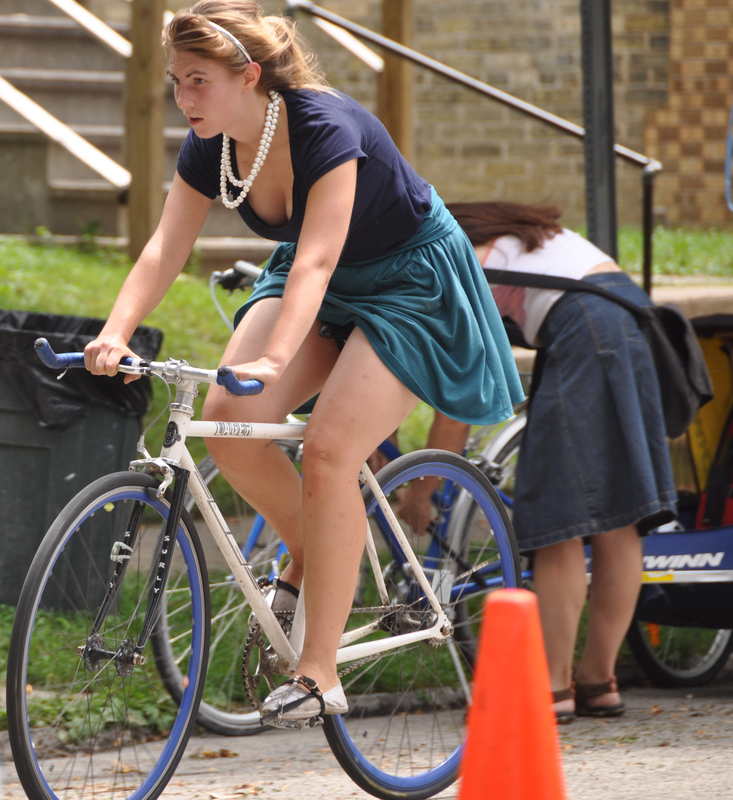 There were 500 riders either riding solo, on a team of 2-6 or on a tandem. I was on the District 3 Team, with District 3 Alderman Nik Kovac, City Engineer Jeff Polenske, and DPW budget analyst Patrick Hartman. We each were slated to ride 6 hours and I was on the Saturday shift from 1 pm to 7 pm. 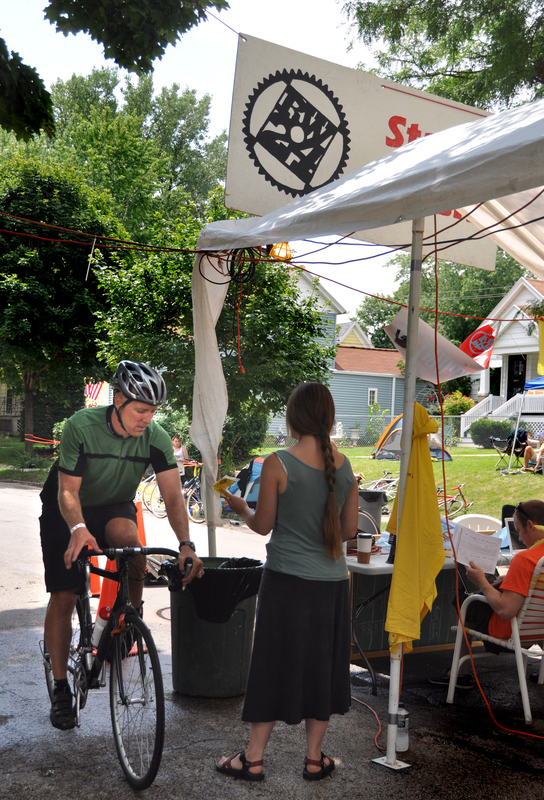 More than a race, the event is more of a series of neighborhood block parties connected to each other with a stream of people riding bicycles. The race runs on city streets open to motor vehicle traffic and every lap riders have to get their manifest punched at each of four mandatory check points at different block parties. There are also optional bonus check points scattered throughout the neighborhood. Those range from writing haiku’s about the Milwaukee River to finding “Bruno” at a punk rock party in a dark basement. 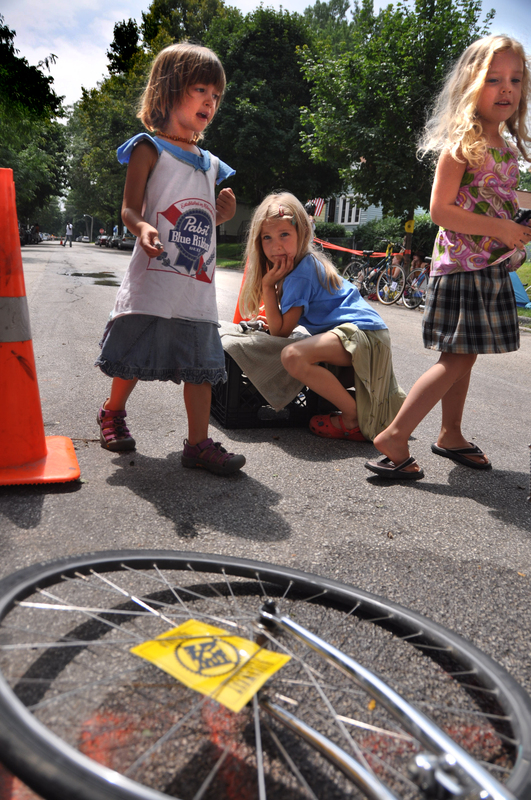 Promoting streets safe for everyone to ride is just one of the goals of the RW24. 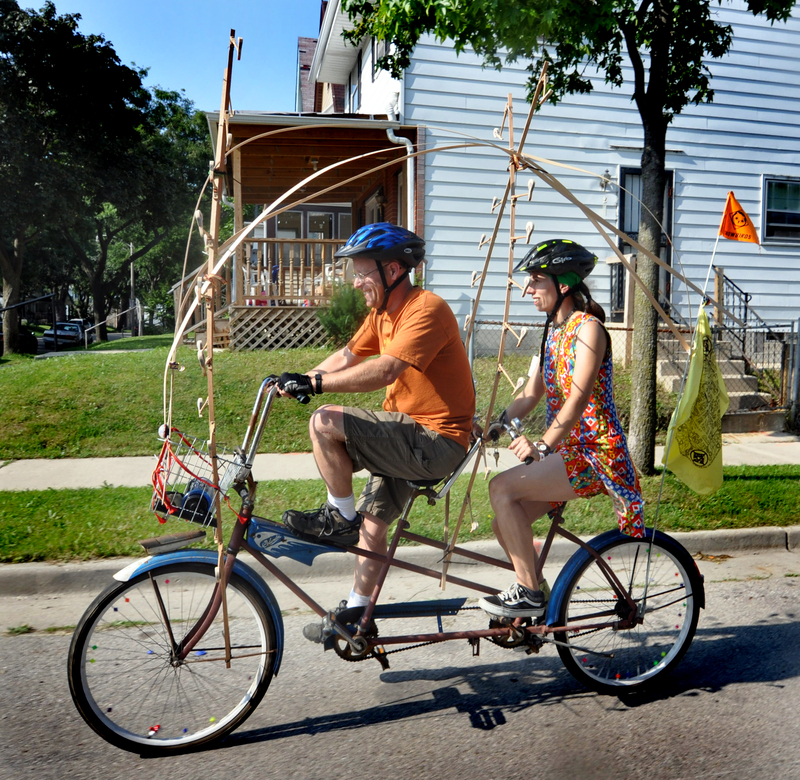 Participants include the full spectrum of families with little kids to inked-up messenger chic hipsters, bike racers in skin suits, to more elderly typical Milwaukeeans. 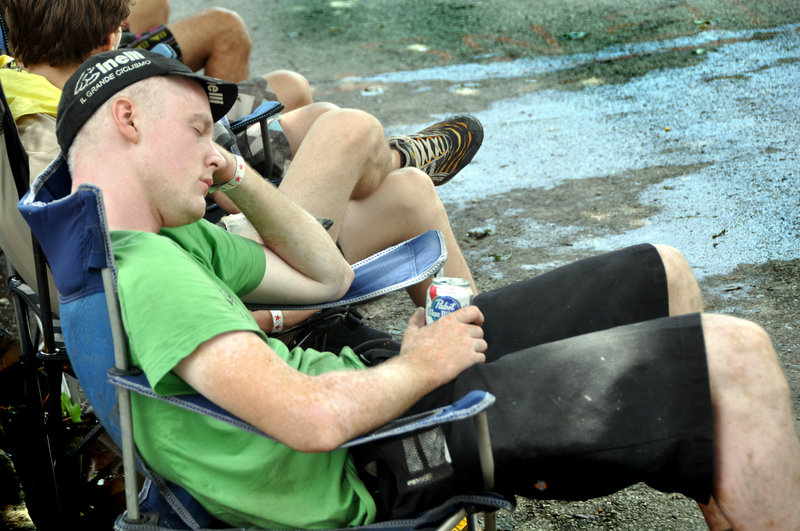 I was too tired after my trip to camp down there all night, so I missed a lot of the event. 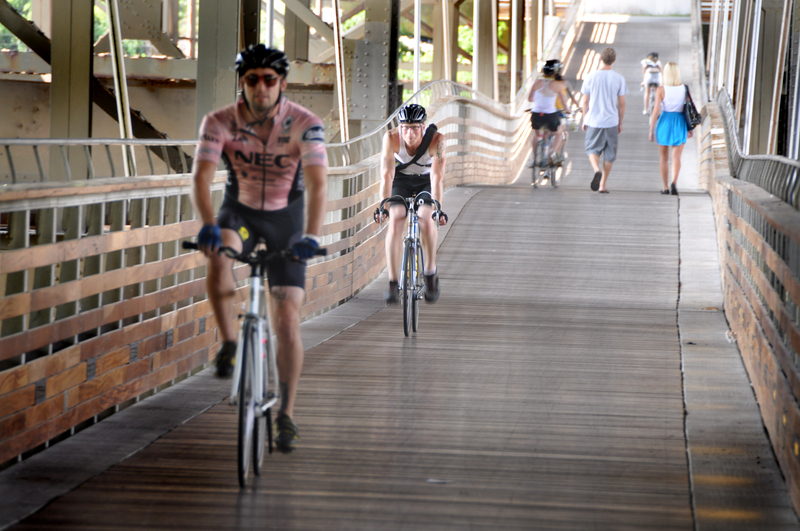 I took photos for the first four hours and then I started to get too tired to pedal, deal with traffic and make photos. I felt pretty good for those first 4 hours, but then I began to fade and got a bit of a stomach ache. I tried to eat healthy and drink lots of water during the race, so I attribute it to being overly tired from bookending the race on the end of the canoe trip. Luckily Jessica handed me a Dark and Stormy. The the ginger beer settled my stomach and the rum gave me the shot of courage I needed to pedal home. 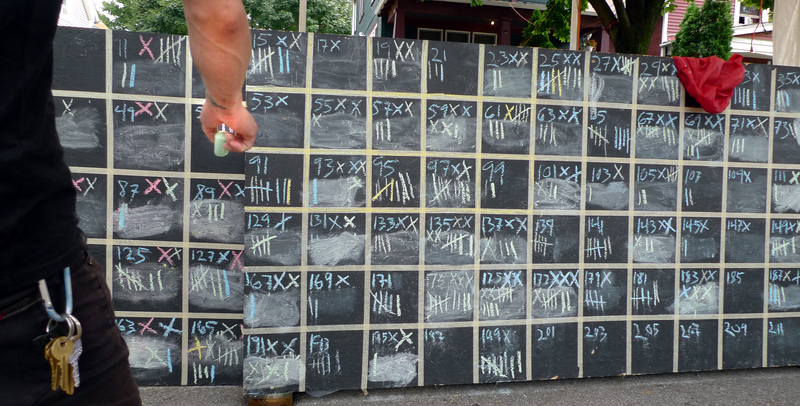 Totals were maintained at the start/finish check point with this chalk boards. When manifests were filled, they were turned in and a new manifest was issued to the rider. Guess Who? Of course the old pros were present and accounted for. Fixed gears and Velocity Deep V's were everywhere. 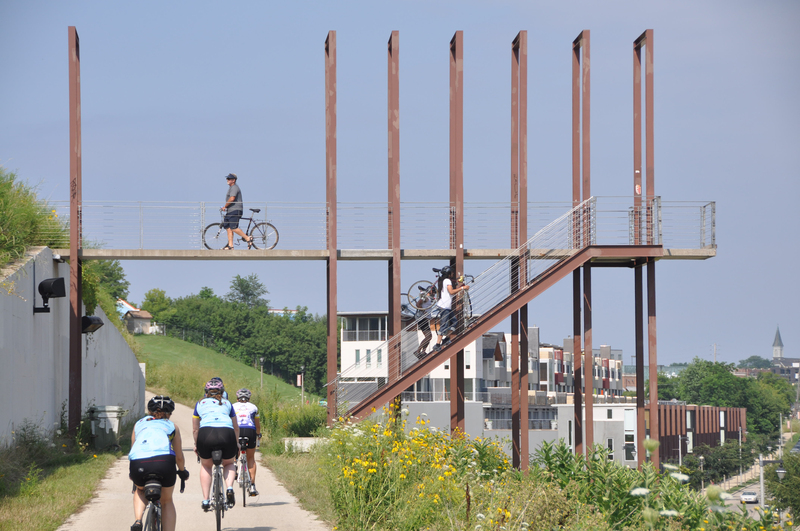 The Booth Street Stairs provided and early training option for the coming cyclocross season. 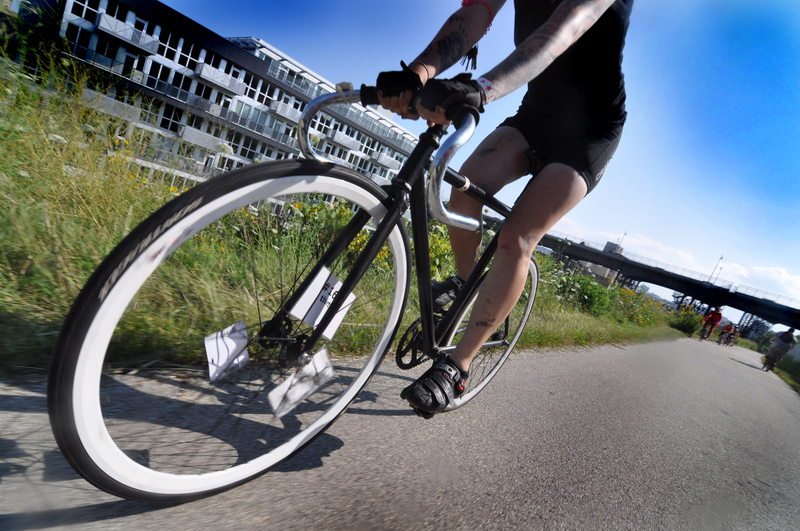 Those with heavy bikes could take the trail up through Kilbourn Park. The Marsupial Bridge was the furthest checkpoint south. The tandem class seemed to bring out the creative types. And those who are tougher than nails. 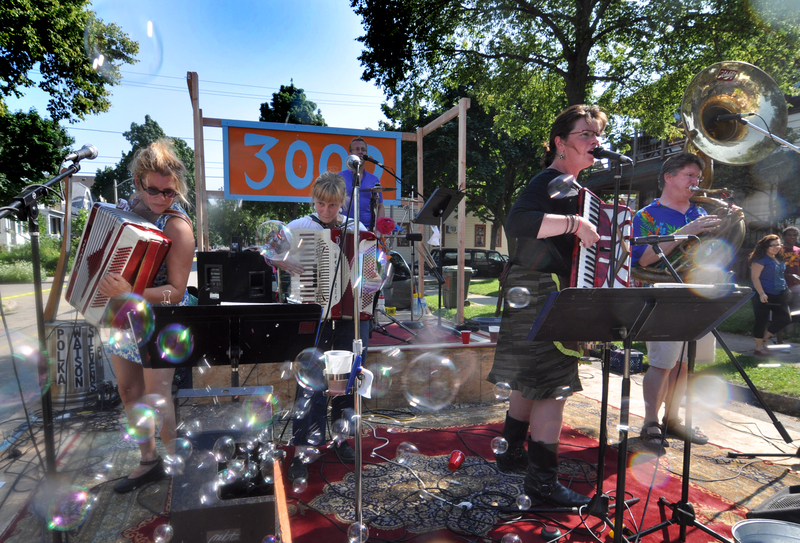 No Milwaukee event would be complete without Polka and bubble machines. I found a quiet chunk of gutter at the end of my shift to take a short break. This photo is by David Bernacchi. Great article! Enjoyed your photos. Were you there? It was a great event, but with two days to think about it, I am going to treat it a bit differently next year. My post tomorrow will explain more. Who is the old pro up in the pic? He offered me his wheel towards the end of the race…I said no thanks, I wouldn’t have been able to keep it. Guess that decision was right and wrong at the same time! Eric Von Munz. Not really old like me, but definitely a pro.